WWE Superstars are on the road a lot and that can sometimes mean that their travel plans don’t always work as expected. Hopefully, everyone will be able to make it to Montreal, but a couple of Superstars have experienced a bit of an issue. Zack Ryder, Liv Morgan, and others experienced travel problems getting to Montreal. This kind of thing is bound to happen, but when they’re risking the Superstar Shake-Up that can make things even riskier. EC3 took an opportunity to send out a generic tweet about people experiencing travel issues as well so we can only assume he was one of the people who had trouble making it to Canada. Or maybe he was just stirring the pot because he realized others were having a hard time. We will have to wait and see who shows up on RAW tonight. 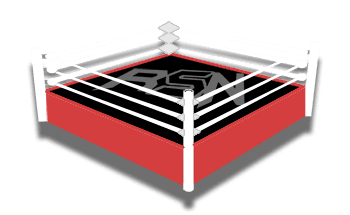 The Superstar Shake-Up will go down starting at 8:00 PM EST and we will bring you all of the big updates right here at Ringside News. My @united flight was delayed multiple times and then cancelled. That’s fine. Stuff happens. What’s not fine is being told I have to wait 2-6 hours to get my bag. Please please please @AirCanada don’t cancel and just get me to Montreal. 🙏🏻 I need good vibes everyone.